How do we make sense of Cuba (and Puerto Rico)? I had thought about Cuba for a very long time, probably for as long as I can remember. When you grow up in Puerto Rico, Cuba is not the rogue nation that the United States wishes it to be. Cuba is your Caribbean cousin, the Cuban people are your friends, your neighbors, your family. Cuba is Puerto Rico; Puerto Rico is Cuba. The two islands are, in the memorable words of Puerto Rican poet Lola Rodriguez de Tio, “de un pájaro las dos alas” (“the two wings of a bird”). I had never been to Cuba, until a few weeks ago. And never had the words of Rodriguez de Tio made more sense to me than as soon as I landed in La Habana. They are the same countries. We are the same people. And yet our histories, beginning in 1898, are so divergent. From Columbus and Spanish rule to the 1868 uprisings and 1895. The Teller Amendment promised an independence that the Platt Amendment refused to give. This was Marti and Betances; the Treaty of Paris and the lease agreement of 1903; the Jones Acts and the 1934 Treaty. This was 1952 and 1959; Fidel and Che and Luis Munoz Marin; the Soviet Union, missiles and pigs. El bloqueo (“the trade embargo”). This is Irma, and also Maria. The question hit me almost as soon as I walked outside my hotel: how to make sense of this history and the conditions of the island? How to make sense of this beautiful city and its crumbling infrastructure? How to make sense of Cuba and its people? These are the same questions I ask often in reference to Puerto Rico. According to Chief Justice Taft, citizenship for the people of Puerto Rico meant access to the United States, equality with those on the mainland, and protection from other nations. This is the Balzac opinion, decided in 1922. 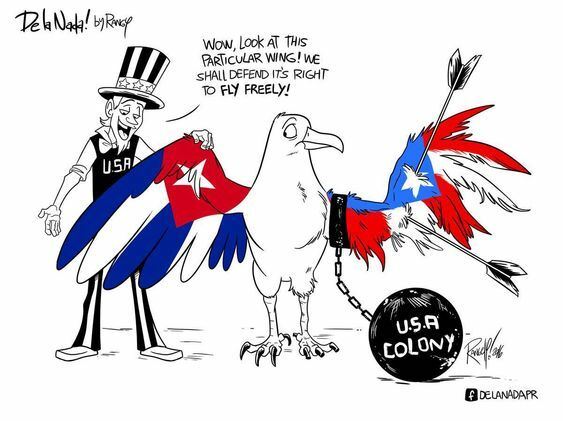 Almost 100 years later, we also know that the people of Puerto Rico are colonial subjects, their citizenship far less than what was promised and expected. The island is bankrupt, subject to a board appointed by the US government and unaccountable to the people of Puerto Rico. The future is uncertain. Are these the choices facing Caribbean nations? Is it colonial status and bankruptcy; or trade blockades and a crippled economy?